Tell me more about this comfort box thingy? I have not heard of it before. Box fits under shelf tray in trunk and the center can go down to fit taller things init otherwise press a button and the bottom comes up. Weight limit to 11 lbs I think? and easily removed by turning knobs and pulling it out. Thanks. I have a collapsible crate in the trunk, where my spare tire should be. I thought that the comfort box was something for the ride comfort. One came with my CLS and I never used it and eventually removed it. 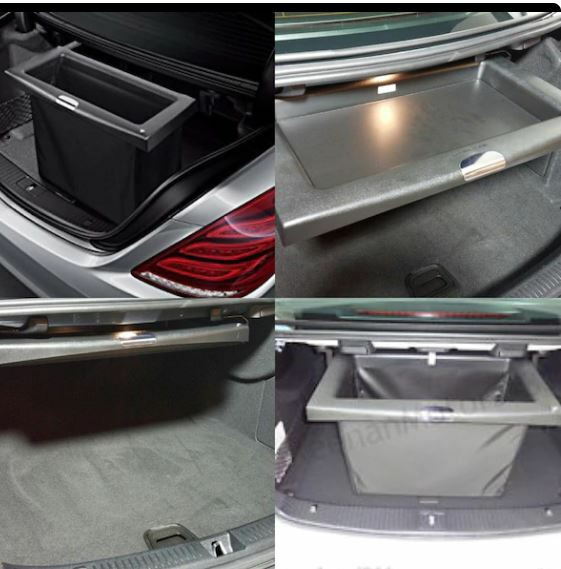 It decreases the height of trunk space available for larger items such as suitcases. Height is limited in the CLS trunk, I don’t know about the E sedan but something to consider. Last edited by allfortheunion; 02-09-2019 at 07:52 PM. This box/bag has come in SO handy! It came with my car and cost $300 I had no idea what it was. I use it nearly anytime I buy anything. i also have a collapsible crate in the trunk, wich to me seems to do the same thing, only does not get in the way when you don't use it..?. Great for the bread when grocery shopping as it keeps it fromgetting smooshed. Easy to remove just the 2 knobs you turn by hand and it pulls out.. as front bracket thingys go into some hole. I can fit my luggage under it and does not take up room for our bags on long trips plus we put stuff we readily need in there like jackets or hats.. I also have the baggage net on trunk floor which is nice too. Cuts down on the number of bodies you can put in the trunk. You can pick them up on eBay for around $100-$150. 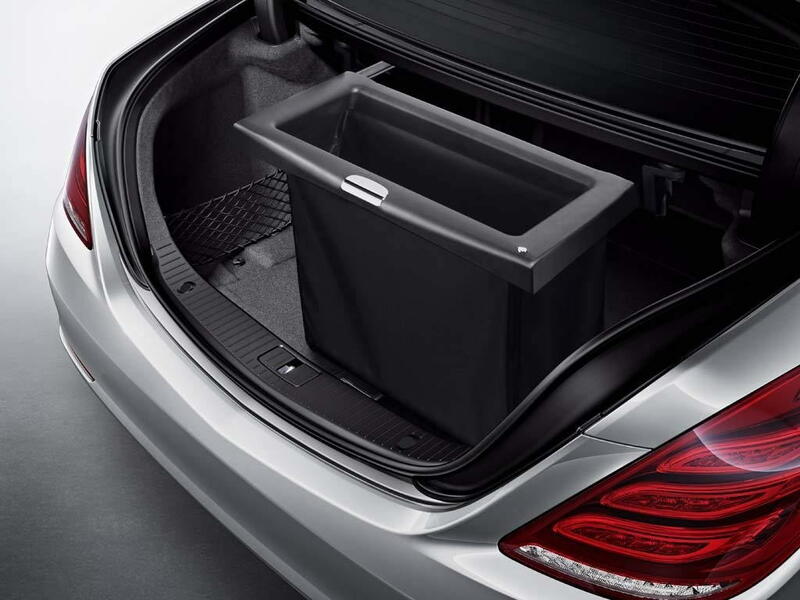 In the W211 you could add an extra hook, but in the W212 there's only room for one hook. Either way, I find that hook infinitely more useful than the fold-down comfort box for $350. Having an E450 CAB, it wouldn't work and I couldn't have it if I wanted to. Does anyone know the part number for the brackets or have any of the installation instructions....? Ditto. I use it all the time. Store a shorty umbrella in there for the wife's hairdo, microfibre towels for drying the car, couple cans of tennis ***** (could be Titelist golf ***** for you duffers), a nylon windbreaker. etc. If you think you have use for it, it is very handy. The foldable plastic box in the tire well isn't nearly as useful. As to the orginal post, are you certain there are separate brackets. 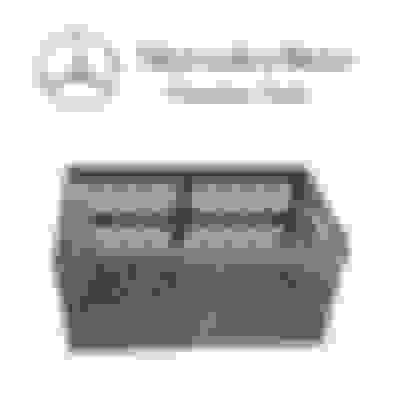 The link below, from the W212 forum, seems to imply that it comes as a complete assembly. Maybe you could PM the OP in that post. Good luck. Last edited by Cao Black; 02-08-2019 at 10:44 PM. I'm sure if someone knew, they would have provided a response. Why not just contact your dealer? People either ordered it with their car, or it came with a car they purchased off the lot. "Car brackets sold separately at MB dealers based on the VIN of your vehicle"
Yep. I'm sure too. I was just hoping that somebody out there had actual experience with installing the box that they could share. 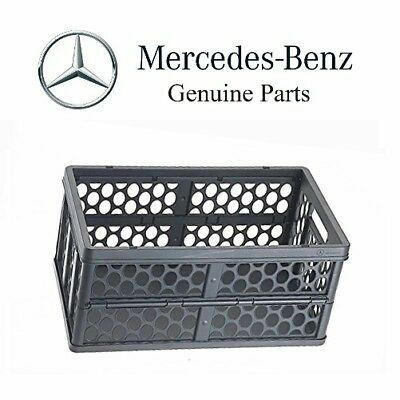 I live in Los Angeles which probably has more Benz dealers per square mile than anyplace else in North America - like I said above, have yet to find one with a Parts Department that was eager to help you research parts (rather than selling chrome valve stem caps). So I was trying to avoid that and walk in with some actual information. Are you familiar with the name? Frank Rizzo, he's an auto mechanic, from the Jerky boys.